The importance of Technology in expanding the scope of knowledge cannot be over-emphasized. It is globally accepted that the best way to advance education is through the use of technology. However, majority of Africans have lost the opportunity of educational integration one way or the other due to limited knowledge or access to the required technology. 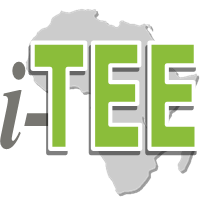 The Global Center for Information Technology Empowerment and Education (i-TEE) (formerly known as Initiative for Technology Empowerment and Education) originated with the aim of bridging the technology barrier to education and strongly believes in the practicality of the future generation of Africa. The vision was borne out of the passion to improve knowledge through the use of technology in Africa. 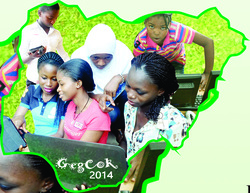 The Nigerian Geek Girls Collaborative Camp is a one-week long ICT mentoring camp to bring together Nigerian Secondary School girls, female undergraduates and female teachers, with the main objective of mentoring and improving their involvement in Information and Communication Technology, both as a profession and as a problem solving tool in their various professions. It is hoped that the camp will boost the participants’ confidence and encourage them to participate in Information Technology. This will be done by enabling them to create personal ICT projects after undergoing hands-on ICT training. The National Workshop on ICT for Productivity and Workplace Empowerment (IPWE 2015) aims to ensure that people have the updated knowledge and skills to utilise the latest computer and internet technologies for personal and corporate benefits. 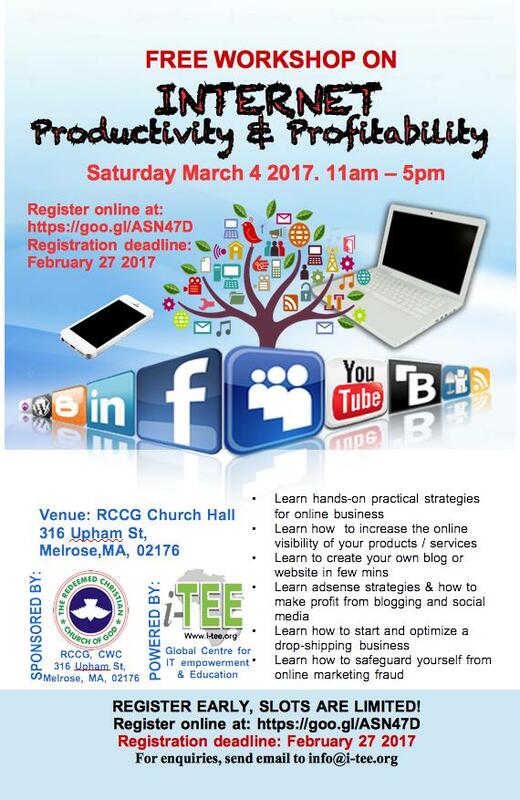 The Research Consortium on Information Technology Innovations (ReCITI) is an international event that brings together young and experienced researchers in Computer Science and related fields to discuss research ideas in Information Technology. Done in collaboration with International Center for Information Technology and Development (ICITD) and Initiative for Technology Empowered Education (iTEE), the consortium is specially designed to provide opportunity for postgraduate Students of Computer Science to showcase their on-going research work and network with their peers and senior researchers of Information Technology from various higher institutions all over the world. Experienced Researchers are also invited to discuss their ongoing work and serve as mentor to young researchers in the process. RECITI 2013, the fourth in history, shall be held during the 11th International Conference of Nigeria Computer Society at Osogbo, Nigeria from Wednesday 24 to Friday 26, July 2013. This will enable conference Participants to also take part in the Conference. Effective application of technology in the creative process of learning will enable establishment of high-impact learning solutions that specifically concentrate on teachers and learners. ​​CS4HS (Computer Science for High School) is an initiative sponsored by Google to promote Computer Science and Computational Thinking in high school and middle school curriculum. 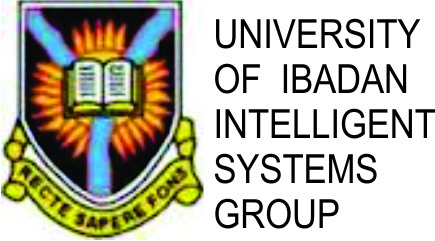 This workshop being co-ordinated by Dr. Olumide Longe of the Department of Computer Science , University of Ibadan, Nigeria is supported with funding by the Google's Education Group. The Workshop will focus on Secondary schools (Junior and Senior) Computer Science teachers and all other persons interested in learning how the application of computer skills can assist them improve teaching, learning and delivery of subject curriculum. ​​These MyCSNg Workshop incorporates presentations, talks and hands-on training by the academia, experts in the subject matter, industry leaders and discussions on among participants on the new Federal Government of Nigeria approved new Computer Science curricula at the secondary school level to create a dynamic orientation to the teaching and learning process for computer science. Dr Yetunde Folajimi receives WeTech Award from Institute of International Education.